Moving might be one of the most stressful experiences you face, but with the help of a reliable, professional mover, it’s loads easier. One big hurdle is finding help that you can trust, without wasting hours scouring review pages and calling around for rates. That’s where Moving Mule comes in. When you call Moving Mule, we’ll ask you a few questions about your move so we can connect you with a mover that works for you. Before you call, make sure you have the zip codes where you are moving from and to handy. You’ll be prompted to enter these using your keypad. Based on your inputs, you’ll be automatically connected with one of our moving partners who services your moving area. Their experienced sales staff will walk you through the process of getting a free, fast over-the-phone quote to give you an idea of how much your move will cost. 1 number to call. That's it. Whether you're looking for movers in Anchorage or Miami, there's just 1 number. We'll need some basic info from you about your move. It's simple stuff like zip code and the type of move you need. Takes about 15 seconds if you're slow. Which is probably less time than you've spent reading this. In a matter of seconds, we pair your exact moving needs to match them with a mover that passes our 3 check system. First, they are legally operating with the appropriate licensing. Second, they have insurance to protect your goods. And third, they meet our minimum review standard of at least 3 stars from Google, Yelp, or Facebook. Last, we get the moving company on the phone and ready to talk with you. Have you already wasted an hour of your day trying to track down a moving company that answers their phone? Stop wasting your time and move with the Moving Mule advantage! Licensing: All local moving companies are required to comply with state licensing requirements for intrastate transport, while long distance movers must register with the U.S. Department of Transportation Federal Motor Carrier Safety Administration (FMCSA). Working exclusively with licensed movers is important to us, because the licensing requirements ultimately protect you, the customer. The U.S. DOT and state-level regulatory agencies set guidelines for movers on everything from giving estimates to establishing tariff rates to ensure customers have a better moving experience. If a moving company doesn’t bother with licensing, then they aren’t a mover worth working with. Moving Mule verifies that all our moving partners are registered with the appropriate federal or state agencies. Insurance: Moving companies are required by state and federal law to carry a minimum level of coverage. Movers must provide proof of insurance to renew their registration with FMCSA, or the state-level equivalent, every year. This coverage is meant to provide some recompense should something happen to your belongings during the move.  Moving Mule ensures that all our moving partners have insurance coverage, so that you’re protected. Ratings: Reviews from actual customers offer some of the most transparent and honest feedback to prepare you for your own moving experience. Unfortunately, combing through the various review sites takes time and can be confusing. We screen all our movers to make sure they have at least a 3-star quality rating on one of the three most trusted review platforms: Yelp, Facebook, and Google My Business. This way your call will never get routed to a company that’s less than reputable. 1 call and you’re connected with a licensed, insured, and highly rater mover. It’s that easy. Triple verified for licensing, insurance, & top ratings from trusted sources (Yelp, Facebook, & Google). Getting our number setup was simple and straightforward. The calls have been coming through ever since. Get an instant over-the-phone quote NOW!